This sorceress is married to Count Friedrich and manipulates him like a veritable Lady Macbeth. Among other mischievous doings, she turns people into swans – which admittedly could be much worse. Maleficent rating: two. 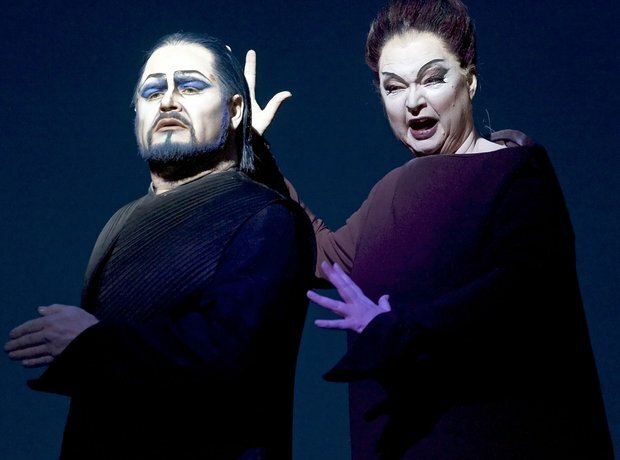 Richard Paul Frank is Telramund and soprano Luana DeVol as Ortrud in this 2006 picture from the New York Met.